Although the mission to save Connor from discovering Planet Eden was a success, Travis still believes that it's namesake, sixteen year old Eden, is a liability. But before Travis can purge Eden from existence, the boy she thought she'd never see again returns, and saves her life. Now Eden and Ryan are on the run from the Cleaner, a woman sent to retrieve Travis and bring Ryan to justice. With no escape, the young couple are captured and brought back to Ryan's present day, where he will be tried as a traitor to the law. Over a century has passed for Eden as she tries to navigate a new world without Ryan, who is awaiting trial. Both Connor and Aunt Miranda have long passed, and her only ally now is Pegasus, Ryan's best friend. But Ryan breaking protocol and returning to save Eden's life isn't as gallant as the Space Time authorities believe, the President and anti time travel campaigner Admiral Wolfe will be overseeing Ryan's trial and he faces the prospect of mining on the Moon, a death sentence my any means. But Eden won't give up without a fight. Navigating her way through the hungry media packs, leaked information and a gun legal team that wants to make an example of Ryan, she refuses to say goodbye. But can she rescue the boy she owes her in time? 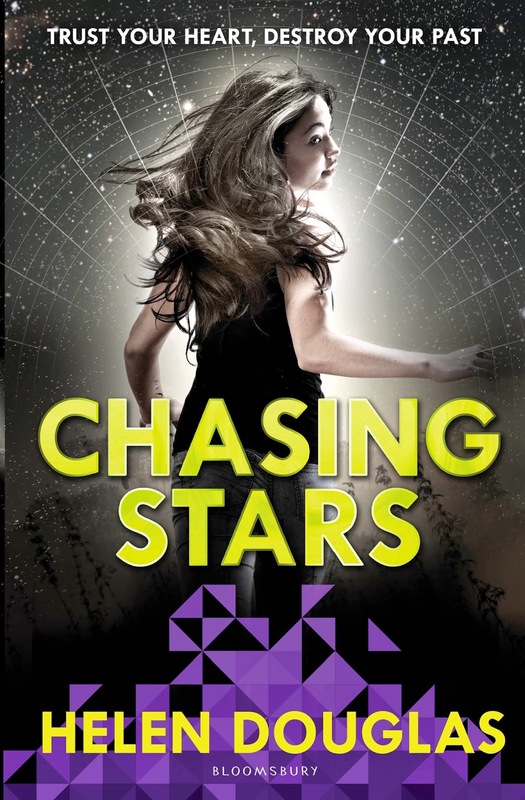 I was actually sad to hear that Chasing Stars is the final book in the After Eden series, making it a duology. It was a far easier read than book one, the storyline moving to Ryan's time with Eden left to navigate his world alone.I found Eden irritating in book one, but without the romance and now that she is on a mission to clear Ryan's name, she's really likable, no one can doubt her determination and tenacity. While Ryan is incarcerated, Eden forms a supportive and loving friendship with Pegasus, or Peg as he's affectionately known. Peg is by far the draw card in Chasing Stars, he's jovial and adds an element of surprise and warmth to the storyline. Fear not, there's no love triangle, instead Peg plays the role of Eden's guide to her new world and introduces readers to a future which is not unlike our own. I expected Ryan's world to be ridiculous, inter species living among humans, humanity almost all but dead, but surprisingly it was pretty tame. My only complaint was that I expected Ryan's group of friends to be more involved in Ryan's homecoming and freedom, rather than partying and seeing the sights. Overall, I really enjoyed it, more so than After Eden. But the ending felt incomplete and raises more questions than answers. I'd love to see a novella at least that could give readers closure, about the lives of Connor and Miranda, Pegasus and Ryan's family (including that of his father). Just too many not to produce another book, ending the series with a trilogy and on a final note.